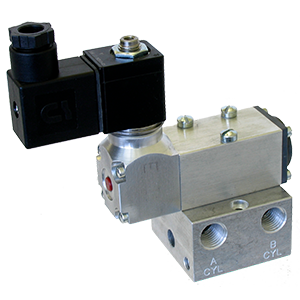 The K Series are 4-way manifold and subplate mounted valves. 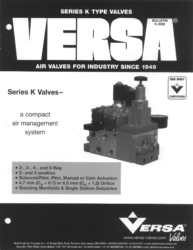 Versa’s K Series valve system combines compact design and stacking modular manifolds with easy maintenance. K 6, 5 and K 4.7 valves mount interchangeably on the Series K stacking modular manifold.